Humbling isn't it? And yet, we feel special too. Privileged to live in such a vast universe. Thankful for that pale blue dot. I come away from this video sad, however, because the author, Carl Sagan, makes this comment: "In our obscurity, in all this vastness, there is no hint that help will come from elsewhere to save us from ourselves." And yet the truth is... That help has come. There is a hope that we have in Christ. To save us from ourselves. 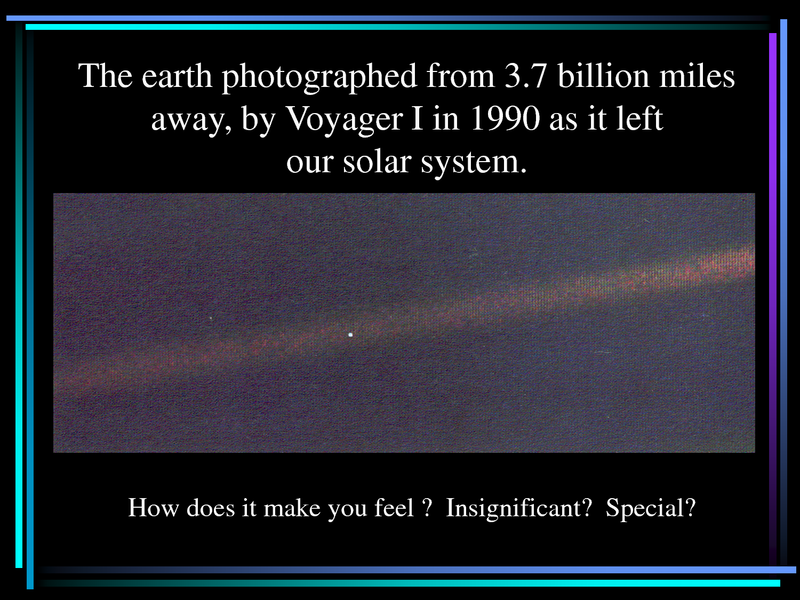 On our pale blue dot. Breathe that truth in today. Rest in it. Because he came down and was humiliated on this pale blue dot. He came down and was brutally killed on this pale blue dot. And he was buried and laid down only to become as insignificant as anyone else who has ever lived on this pale blue dot. As the entire universe waited. Cried out. Watched. Listened. The eyes of the universe turned toward our insignificant pale blue dot... as resurrection occurred. He has promised that he is coming again to this pale blue dot. SO, I am sorry Mr. Sagan, but help has come. We have become saved from ourselves. The question that remains is... Do you accept it? 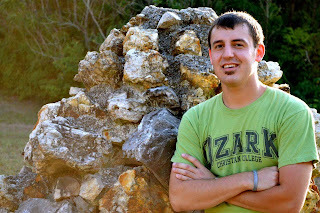 Is a student of Ozark Christian College in Joplin, Missouri. Majoring in Biblical Leadership, New Testament Studies, and Missiology, he has a combined passion for unity and discipleship in the global church. Nate is a crazed sports fan, he enjoys college football and playing fantasy football. He also enjoys watching baseball with friends. 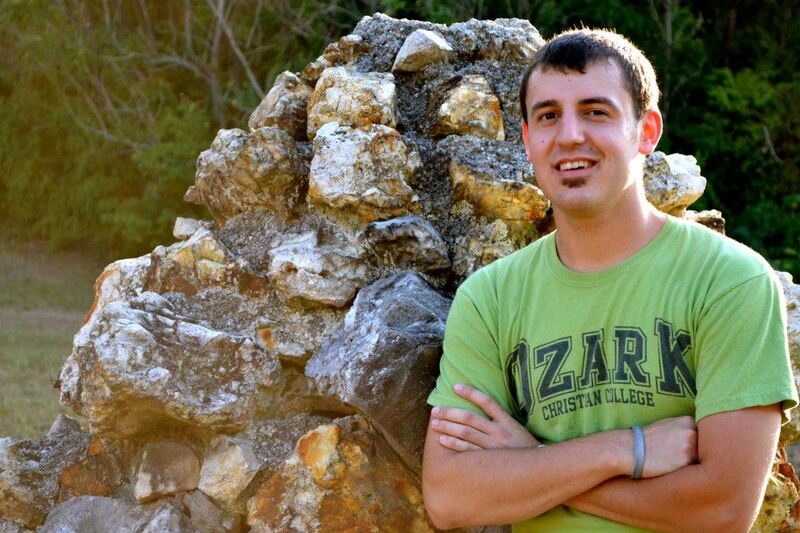 He works as an Admissions Counselor and Resident Assistant at Ozark. Nate is unashamedly a Starbucks addict. Yay Coffee! Christ's Kingdom is bigger than our causes. Christ's Kingdom is bigger than our boundaries.